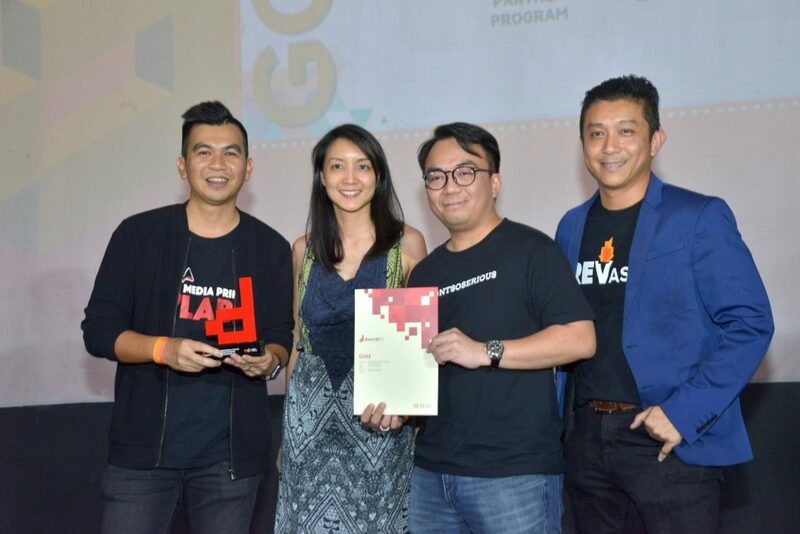 The Malaysian Digital Association (MDA)’s d Awards returned for the third year boasting 203 entries and 14 winners. These included first-ever categories for Malaysia: Best Tech Developer, Best Digital Publisher of the Year and Best Use of Digital Innovation (Non-Profit/Pro-Bono) Campaign work. A total of 203 entries – an increase of 45% from last year – and 68 finalists were shortlisted for the d Awards 2019, which is Malaysia’s sole digital media and advertising awards that recognises agencies, publishers and developers. 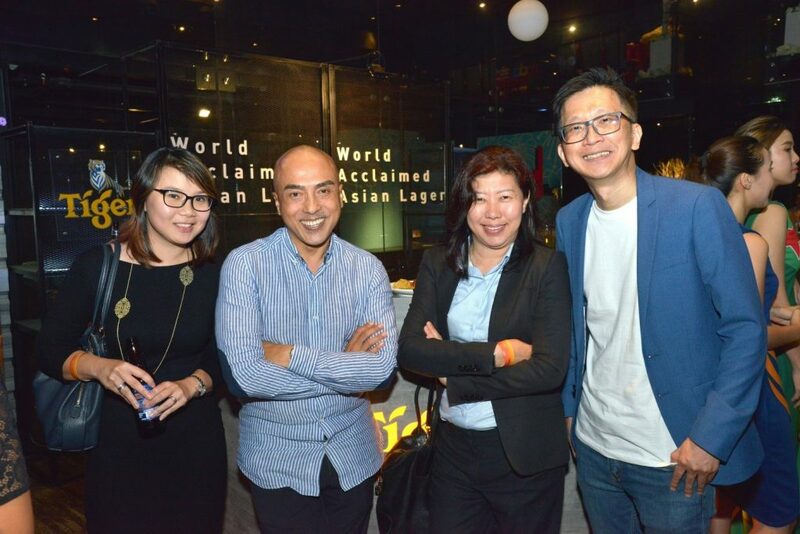 Thirty-eight agencies and publishers submitted their works and 14 winners were announced before an attendance of 450 at the Ruyi & Lyn Restaurant at Bangsar Shopping Centre last week. “The increase in the number of entries and participating companies for this year indicates the growing importance that industry players place in increasing the standards of their works as well as the prominence of the industry event itself,” said d Awards 2019 Organising Chairman, Eileen Ooi. “I’d also like to extend our deepest gratitude to our sponsors, panel of judges, agencies, publishers, marketers, technologists and developers for making d Awards 2019 a huge success,” added Eileen, who is also the Managing Director of PHD Malaysia. “This year’s event has succeeded recognising talents, brands and publishers that embrace and use technologies in the space of digital marketing to produce innovative works in designing and execution of campaigns, and developing digital products,” said MDA President, Serm Teck Choon. Universal McCann was honoured with the coveted Grand Prix for KFC Optimisation on Steroids and the Digital Impact of the Year award. Gan Hak Chian, the co-founder of Magnus Games Studio, was declared as Digital Person of the Year. HyperLab was declared as the Best Tech Developer, Media Prima Bhd was the Best Digital Publisher of the Year and Hyperlab also triumphed in the Best Use of Digital Innovation (Non-Profit/Pro-bono) Campaign category. From the left Ms Eileen Ooi, d Awards 2019 Organising Chairperson with honored guests; Mr Razaleigh Zainal, Vice President, Corporate Affairs, Malaysia Digital Economy Corporation (MDEC), Dato’ Ng Wan Peng, Chief Operating Officer, MDEC & Mr Serm Teck Choon, President, Malaysian Digital Association (MDA). Accepting the Best Digital Publisher of the Year Gold Award from Ms Chuah Jia Wen, Head of Industry – Consumer Product Goods, Google Malaysia is from the left; Mr Nicholas Sagau, Group General Manager, Media Prima Digital, Mr Rafiq Razali, Chief Executive Officer, Media Prima Digital and Mr Tze Khay, Managing Director, REV Asia. 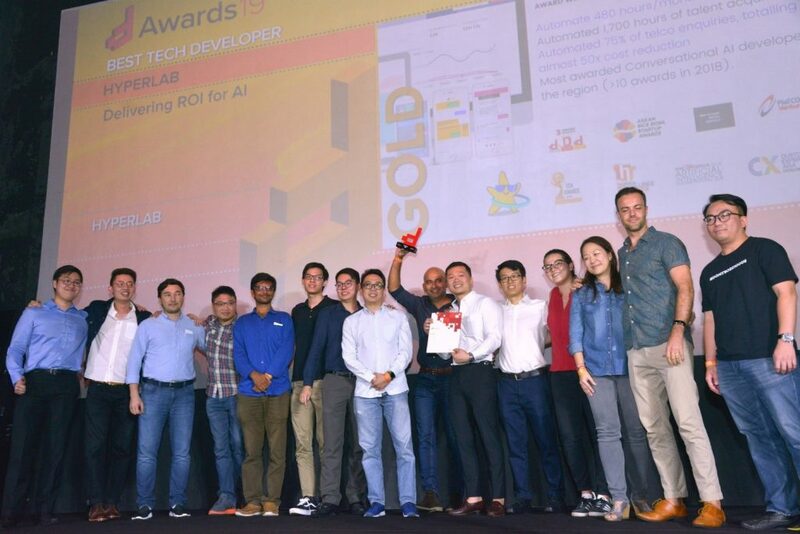 Best Tech Developer Gold Winner – Hyperlab accepting the award from presenter, Mr Rafiq Razali, Chief Executive Officer, Media Prima Digital (on the right). 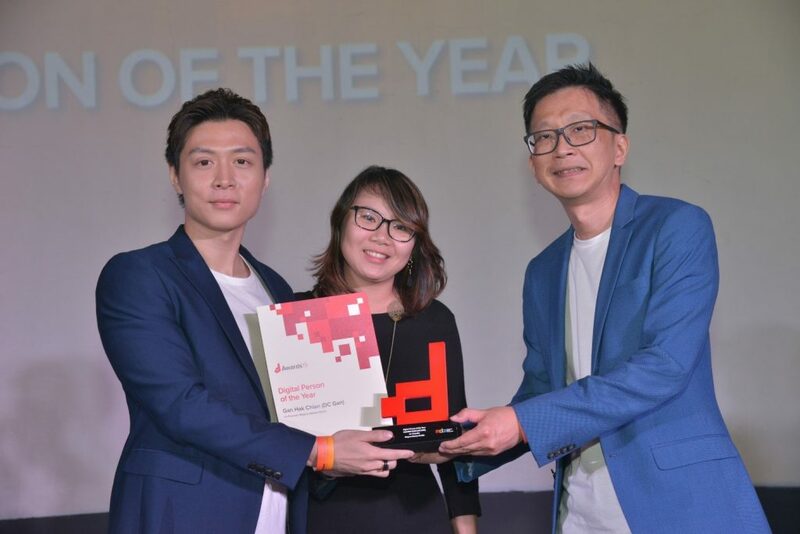 Mr Gan Hak Chian, Co-Founder of Magnus Games Studio accepting the Digital Person of the Year award from Ms. Eileen Ooi, d Awards 2019 Organising Chairperson and Mr. Serm Teck Choon, MDA President. 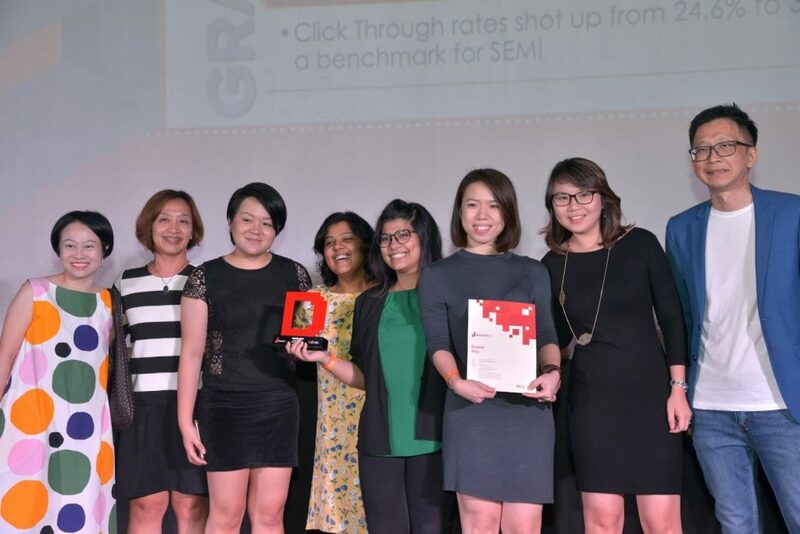 KFC – Optimization on Steroids campaign team from Universal McCann accepting the Grand Prix Award from Ms. Eileen Ooi, d Awards 2019 Organising Chairperson and Mr. Serm Teck Choon, MDA President. 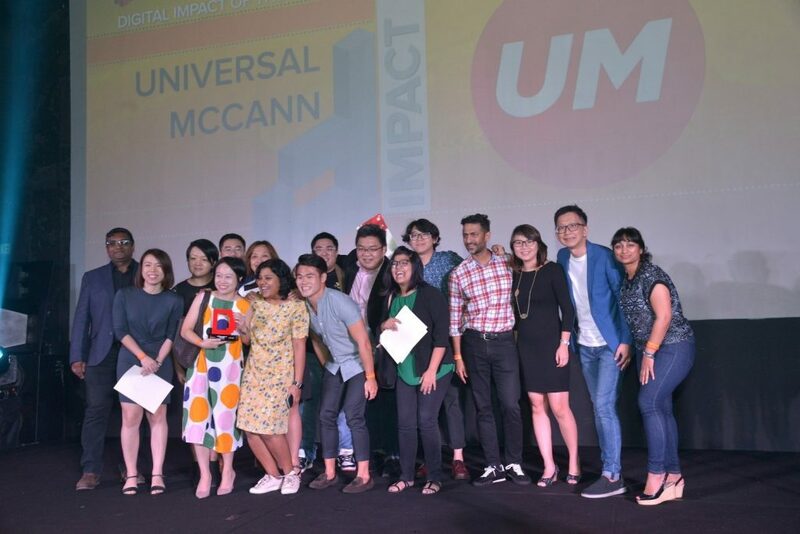 The Digital Impact of the Year Award winner – Universal McCann accepting from Ms. Eileen Ooi, d Awards 2019 Organising Chairperson and Mr. Serm Teck Choon, MDA President.